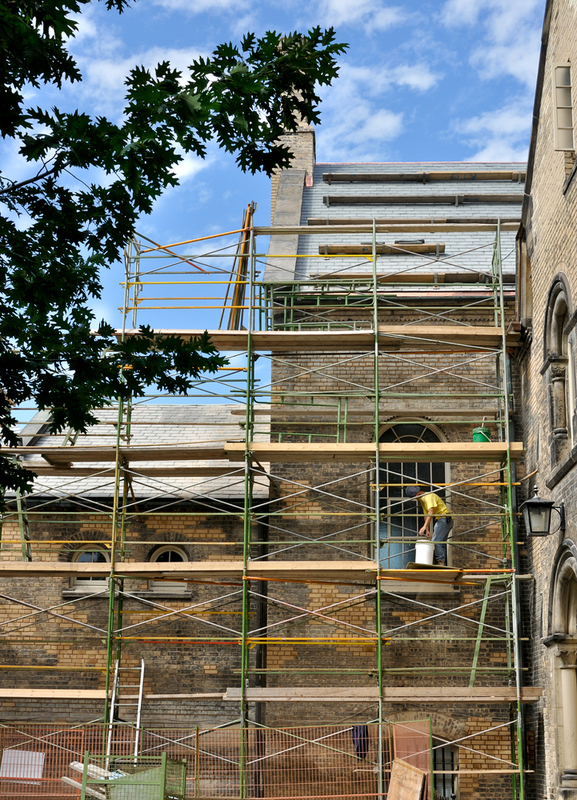 Repairing and restoring historical masonry buildings, walls, and other structures presents a unique set of challenges. For one, the structure needs to be made to look as it did before, and when it comes to brick and mortar it is not always easy to find matching color options. A professional is very beneficial in order to recreate the same color, and avoid parts of the historical monument looking different, updated, or changed. Here are some tips and commonly asked questions regarding historical renovations according to Canada’s historical renovation standards. The Standards and Guidelines for the Conservation of Historic Places In Canada sets the stage as the first heritage conservation team in our country. It provides the guidelines for creating sound renovation decisions that play up a historical location instead of taking away from it. Since the original 2003 edition of Canadian standards and regulations the guidelines have been updated to include 9 general rules. Preserve heritage value. Do not remove, replace, or make dramatic changes that take away “character-defining” qualities of a historical structure. Conserve any changes that have become “character-defining” even if not originally included in the structure. Do not alter the location in a way that takes away the record of history it provides. Use the historical property for a purpose that does not require much, if any, alterations. Do not disturb, damage or remove archeological resources surrounding the property or within the building. Always use the least invasive procedure possible if repairing, or replacing important elements is impossible to avoid. Maintain all “character defining” elements on a regular basis so that larger repairs, that may include complete removal and replacement, are less likely to be needed. Renovations and replacement “interventions” should be notable upon close inspection, as well as properly documented. Depending on the actual historical significance of the building in question, there may be rules and codes you are required to follow when conducting restorations. Existing regulations may also determine what you can use the building for; in some cases a building that is changed to offer a different service or purpose must still pay tribute to its original use in some way. Contact your local historical officials or professional historical restoration specialists in order to determine what code regulations exist for your property. Whenever possible it’s best to repair a historical structure as opposed to replace it. By repairing the structure you still maintain the originals bones and historical qualities, serving future generations for years to come. If too many parts are replaced the site becomes more of a replica as opposed to an actual historical building. Understandably, in some cases wear and tear is so extensive that the only sound possibility is to have parts replaced. In this instance there are a few key things to keep in mind. For one the replacement part(s) should look like the rest of the structure in color, shape, texture, etc. and should have no visible differences unless inspected by a professional up close. All replaced materials need to be documented for historical records. Historical buildings are old and fragile and therefore require special care. Using harsh chemical treatments to aged masonry is never a good idea. Sandblasting, for instance, can cause serious damage. In order to clean historical masonry, only use gentle cleaning methods. If you are adding on to a historical property, the additions should not take away from the defining characteristics of the structure. Although the new structure may appear ‘new’ it should still play tribute to the history of the property and surrounding environment. For instance adding a windmill to a historic property could completely throw off the time period the property stands to represent. Many older buildings don’t come with a set of blueprints. Today talented architects draw up houses in great detail, highlighting every last inch of the house and how it will be utilized and constructed. In the old days this wasn’t always the case, houses were often put up using the same techniques that had been handed down through the years, which required no drawings at all. Still, even if you think no blueprints exist for your property there is always a chance they do. One way to find out is to call up your realtor that sold you the property, if your home was built in the last 50-years a realtor will be able to look up any related information on the home, such as architectural plans. You can also talk to neighbors; perhaps someone has been in the area for a very long time and has a better idea where the original plans might be, or if there were any to begin with. City archives, your local fire department, old advertisements, and historical plan books may all help you locate more information about the origins of your home. Knowing the full story behind a building will help you better restore and renovate your property while keeping true to its history. 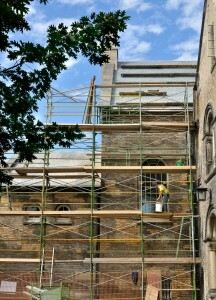 Turnbull Masonry specializes in historical renovations. We stick to all specified regulations and provide stunning results. Contact us today to properly restore any historical building.